The list is complete. The 50 Greatest Black Athletes have been determined by the public — 10,350 adults whom SurveyMonkey polled to decide who should be considered the best of the best in black athletic supremacy based upon four factors: overall ranking, dominance, inspiration and impact on society. For months, debates have swirled in The Undefeated newsroom about who should be higher than whom, which athlete deserves to be No. 1 and, most importantly, who was left off the list. Below are The Undefeated’s picks of the top 10 omissions, with five more athletes receiving honorable mentions. 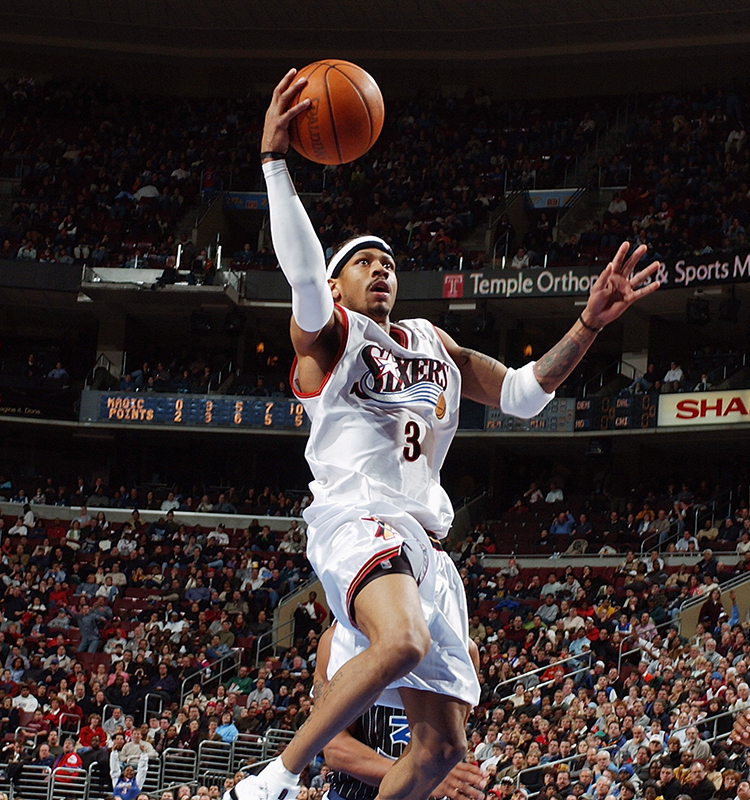 Arguably the greatest basketball player of all time — pound for pound — is none other than Allen Ezail Iverson (and don’t even think about @’ing us). During his 14-year NBA career, the point guard nicknamed “The Answer” took the hardwood at 165 pounds soaking wet while listed at 6-foot-1, although his true height is one of the most debated tall tales in NBA history (“There’s no way. He’s like 5-11,” a fellow NBA player once said.) Iverson, the No. 1 pick in the 1996 NBA draft, made the most of his size en route to 11 All-Star selections, four scoring titles, an NBA MVP award and his No. 3 jersey being retired by the Philadelphia 76ers. In 2016, he was inducted into the Naismith Memorial Basketball Hall of Fame, more than two decades after a four-month jail sentence in high school nearly derailed his hoop dreams. Oh, yeah, and he crossed up Michael Jordan … as a rookie. Let’s play a quick three-part game of “Did you know?” First, did you know that Alice Coachman was the first African-American woman to win an Olympic gold medal? 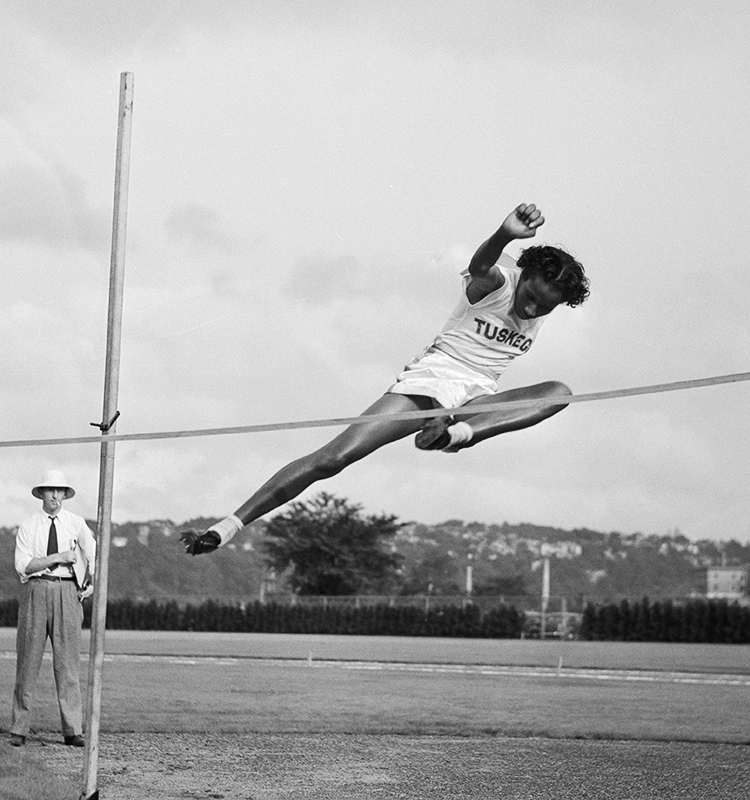 At the 1948 Olympics in London, Coachman leaped her way to gold with a high jump of 5 feet, 6 1/8 inches, an Olympic record that stood for nearly 20 years. Second, did you know that Coachman was the first African-American woman in history to earn an endorsement deal, when she became a spokeswoman for Coca-Cola in 1952? And last, the most prolific fun fact of Coachman’s career — did you know Coachman was inducted into nine halls of fame in her life? Her list includes the National Track & Field Hall of Fame and the U.S. Olympic Hall of Fame. Long before Simone Biles, Gabby Douglas and Simone Manuel, Coachman showed the world #BlackGirlMagic on the Olympic stage. 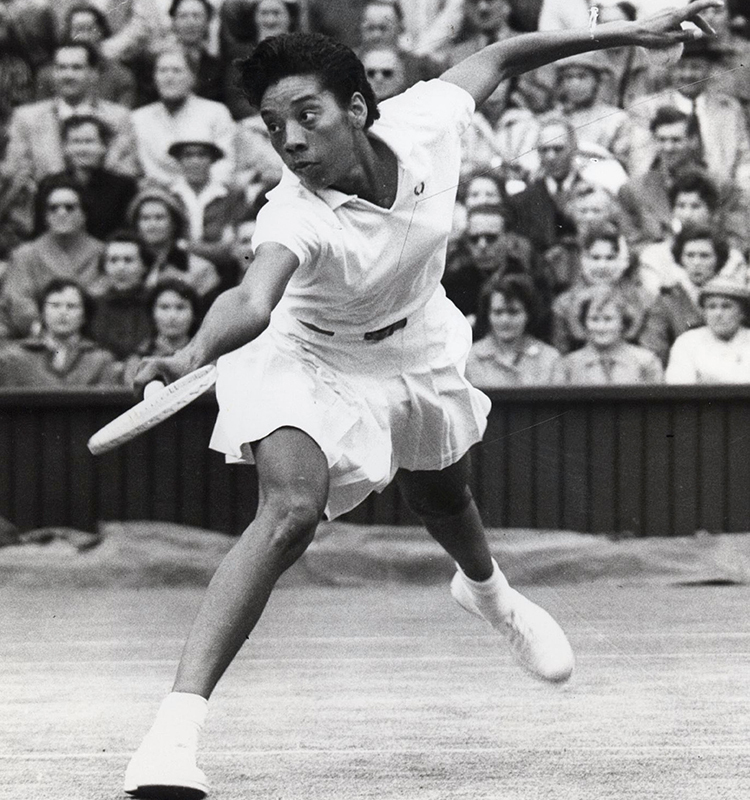 On July 6, 1957, while wearing all white on the outdoor grass courts at the All England Lawn Tennis and Croquet Club, Althea Gibson defeated Darlene Hard, 6-3, 6-2, to become the first African-American player to win a Wimbledon title. Gibson also earned the distinction as the first black player to win titles at the French Open and U.S. Nationals, which led tennis great Billie Jean King to refer to Gibson as the “Jackie Robinson of tennis.” Gibson was the ultimate trailblazer for the African-American stars who followed her, such as Arthur Ashe and Venus and Serena Williams. Also, don’t forget that Gibson played golf too. In the 1960s, she emerged as the first African-American player on the women’s pro golf tour. 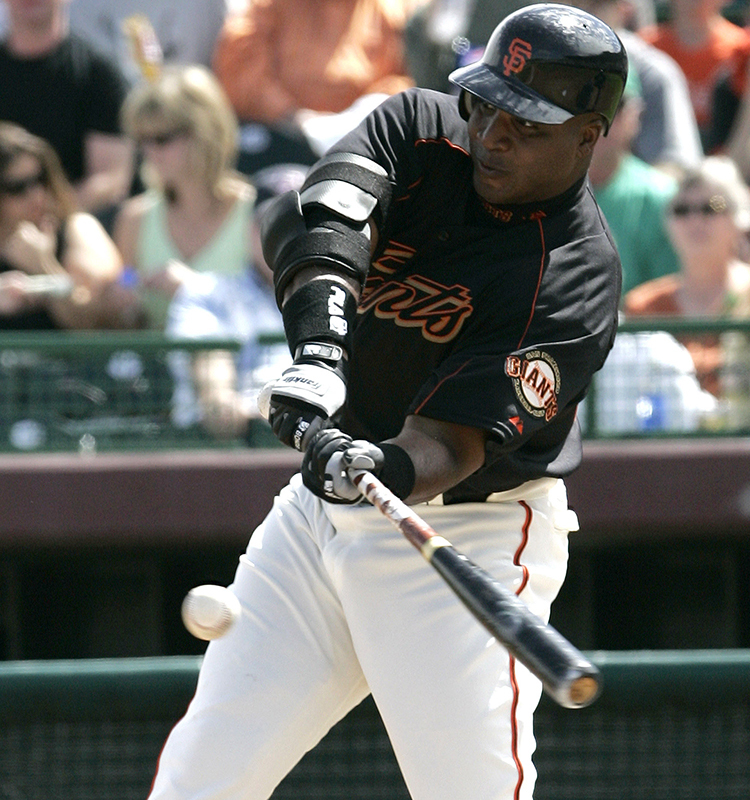 Barry Bonds is, without question, the most decorated slugger in the history of major league baseball. He holds the record for home runs in a career (762), single season (73) and single postseason (eight), and he also boasts records for the highest single-season on-base percentage (.609 in 2004) and slugging percentage (.863 in 2001) in history. But even before Bonds allegedly began taking steroids in 1998, as detailed in the book Game of Shadows, he was a bona fide hitter. From 1986-98, Bonds hit 411 home runs, with 1,216 RBIs and a .996 (on-base plus slugging). Being linked to steroids, however, has marred Bonds’ legacy while keeping him out of the Hall of Fame with five more years of eligibility left, as well as off this list. Suit up for both an NFL game and MLB game in the same day. Those feats take a special breed of athlete. One of the most mind-boggling questions surrounding this list: How were both Russell Westbrook and Kevin Durant picked ahead of Kobe Bean Bryant? In May, when The Undefeated and SurveyMonkey announced the 50 Greatest Black Athletes project, Nos. 60-51 were revealed. Westbrook, a month shy of being named the 2017 NBA MVP, and Durant, a month shy of winning his first NBA title, were ranked No. 54 and No. 51, respectively. As for Bryant? No. 58. Straight blasphemy — and that’s no disrespect to Westbrook and Durant. They just aren’t the Black Mamba, who has five championship rings, 18 All-Star selections, two scoring titles and an NBA MVP award, and he dropped a 60-piece in the final game of his career. Yes, he broke the record for most missed shots in NBA history. But he’s still top three all-time in scoring, behind only Kareem Abdul-Jabbar and Karl Malone. Bryant might not be the greatest of all time, but even Jordan ranks him above LeBron James (No. 29 on our list) in the “who’s the best of all time” conversation. Mamba deserved better, y’all. Foreal. Not a single defensive football player made the list of 50 Greatest Black Athletes. 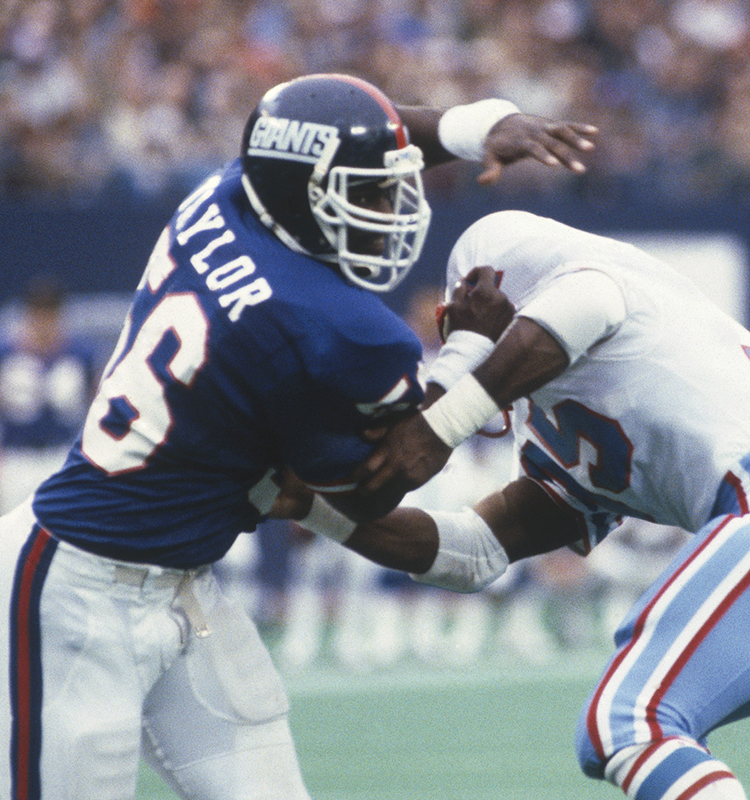 Not even Lawrence Taylor, the man who’s widely regarded to be the greatest defensive football player of all time. The way the Hall of Fame linebacker for the New York Giants played the game was instinctive. His motor ticked at a different, and higher, level, and the force of his rushes made it impossible for him to be blocked by a single player. In short, Taylor was a bad man. Before Houston Texans defensive end J.J. Watt, Taylor was the only player in history to win the NFL Defensive Player of the Year award three times. He also notched 10 Pro Bowl and 10 first-team All-Pro selections, with two Super Bowls and an NFL MVP award. It’s a travesty that he didn’t make the list. On July, 30, 2002 — six years, three months and six days after the WNBA was founded — 6-foot-5 Lisa Leslie became the first woman in league history to dunk in a game. Three years later, she became the first WNBA player to dunk in the All-Star Game. That distinction, being the first, became a staple of Leslie’s 12-year career, spent entirely with the Los Angeles Sparks. Leslie became the first player in league history to reach 3,000 points, 4,000 points and 6,000 points and the first to achieve the career milestone of 10,000 PRA (points plus rebounds plus assists). 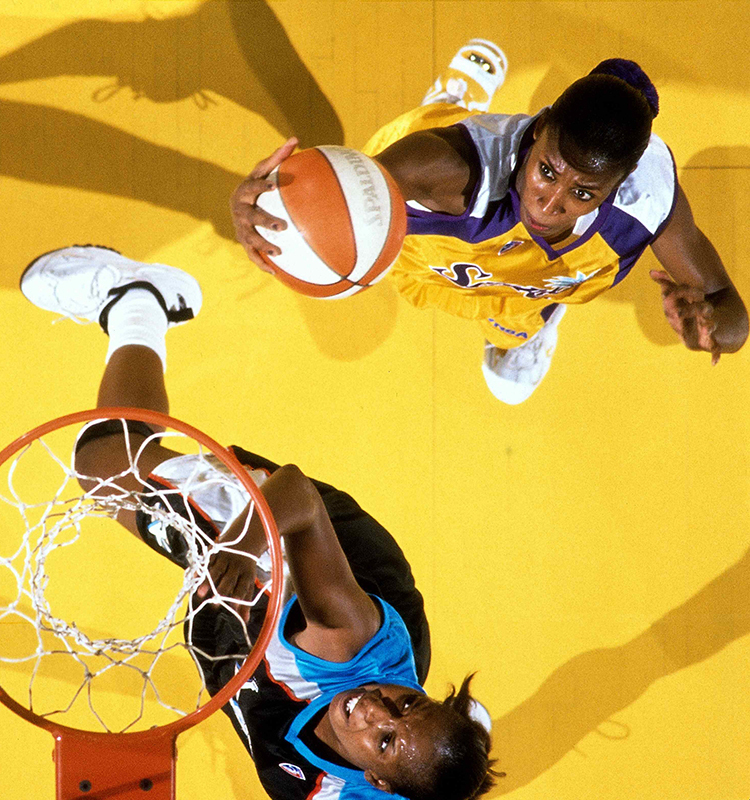 It’s hard to think of women’s basketball without Leslie, a three-time WNBA MVP and four-time Olympic gold medalist. Legendary University of Connecticut and Team USA women’s basketball coach Geno Auriemma once called Leslie “a once-in-a-lifetime player” — and for good reason. For quite some time, before retiring from the game in 2009, Leslie was the queen of the WNBA — the queen of basketball. Tiger Woods’ life and golf career have never been the same since Nov. 27, 2009, the day he crashed his Cadillac Escalade into a fire hydrant after news of his infidelity broke. But how can we forget the Tiger Woods who preceded that infamous night — the one who completely changed the athletic and cultural landscape of professional golf with his fist pumps, red-collared shirts on Sundays and sheer dominance on the course? At 24, Woods became the youngest player to complete a career Grand Slam by winning all four of the PGA’s major tournaments (the Masters, British Open, U.S. Open and PGA Championship). At 30, he became the youngest player to reach 50 career PGA wins. 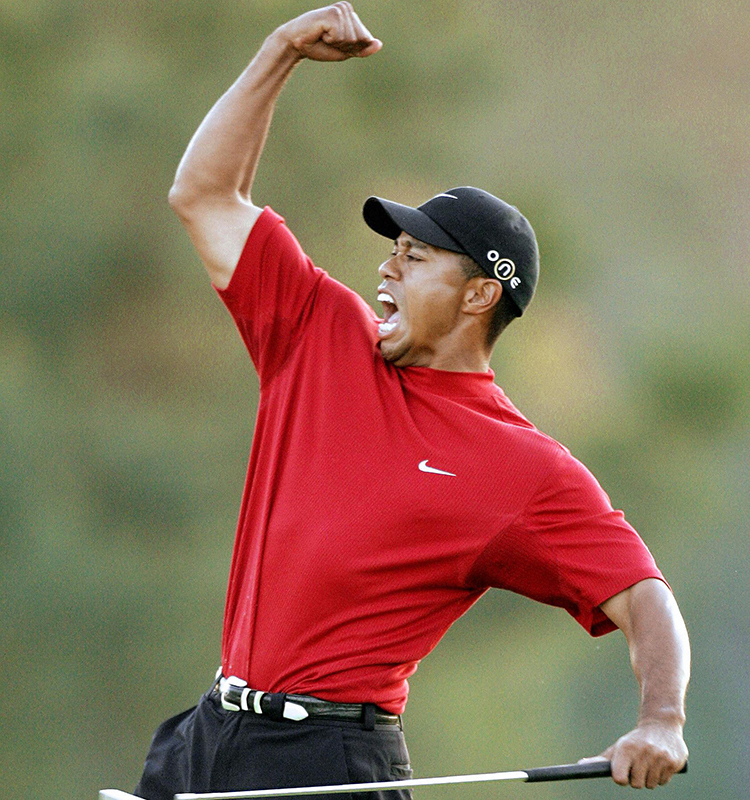 Woods’ 14 career major wins ranks second all-time, behind only Jack Nicklaus. At one point in his career, the question was when, not if, Woods would break Nicklaus’ record. Now, the question is whether he’ll ever play again. Besides not having won a major since 2008, Woods has only played in one tournament in the past two years. 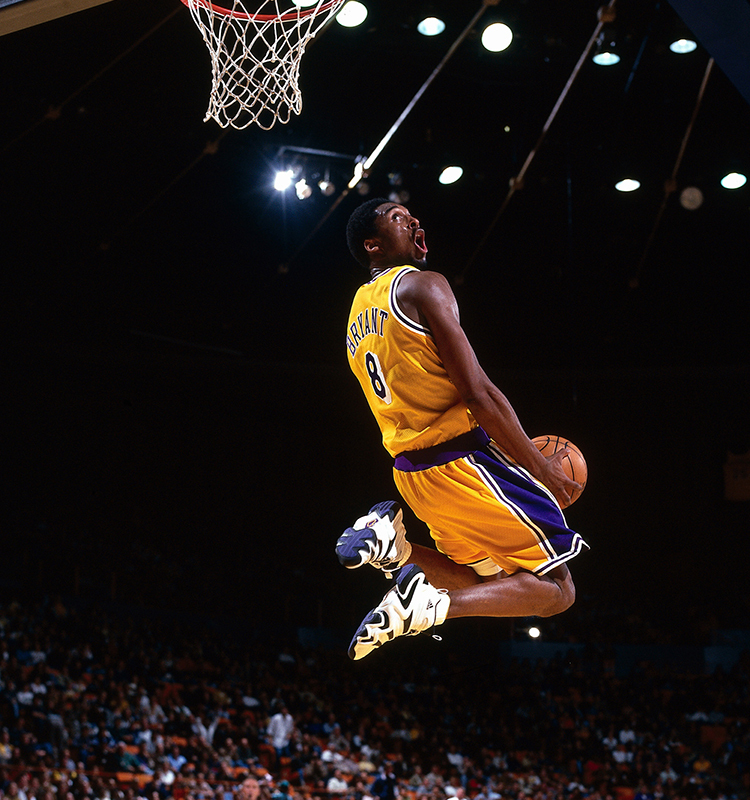 His majestic rise, and painful fall, is one of the most perplexing stories in sports. Regardless, he remains one of the greatest athletes of all time, warranting a spot high on this list — even though he might not fully consider himself black, but rather “Cablinasian,” a mixture of Caucasian, black, (American) Indian and Asian. There’s an asterisk next to O.J. Simpson’s name because of the obvious — even though he was found not guilty in the criminal case for the June 12, 1994, murders of his former wife Nicole Brown Simpson and Ron Goldman. Here, though, we’ll make the case not for O.J. Simpson, the man off the field, but for O.J. Simpson, the athlete whose unparalleled talent in football has become a distant memory. Simpson is certainly in the conversation for the distinction of the greatest running back of all time. 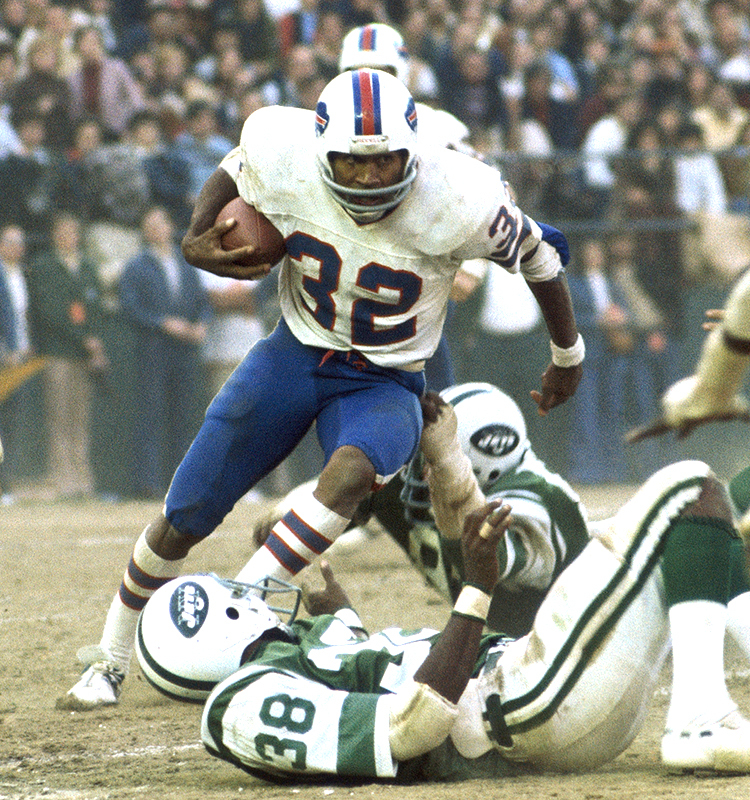 In 1973, he became the first player to rush for 2,000 yards in a single season. Only seven players in NFL history have achieved the milestone, and Simpson started the trend. 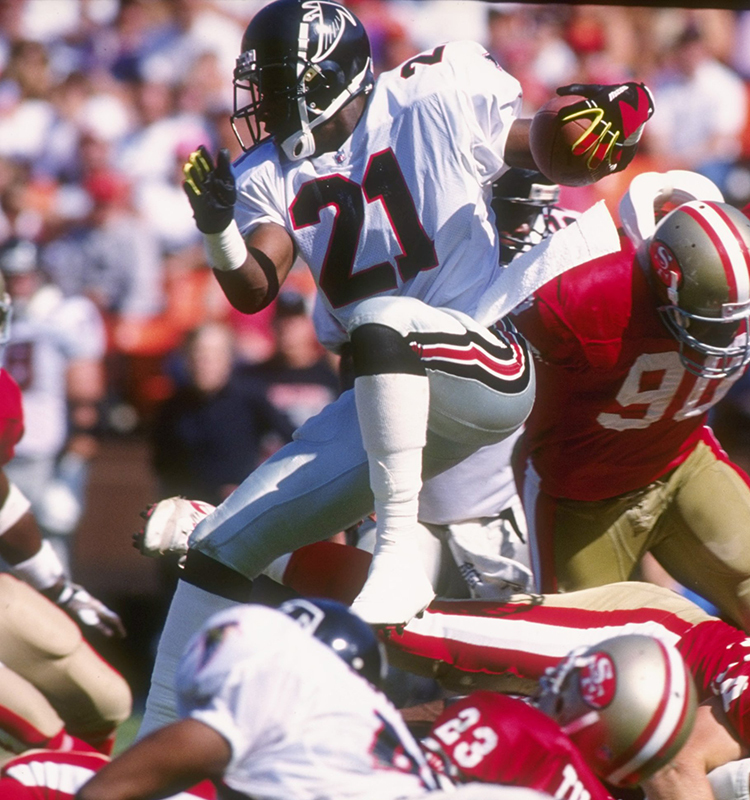 Simpson was also a five-time Pro Bowler, five-time first-team All-Pro selection, NFL MVP, four-time league rushing yards leader, two-time league rushing touchdowns leader, a Heisman Trophy winner at the University of Southern California and Pro Football Hall of Fame inductee. His ability to run the football was so powerful that it earned him the nickname “The Juice.” Leaving him off the list is somewhat of an elephant in the room. But maybe he didn’t make the cut because, in his own words, he’s not black, he’s O.J. No single moment in black sports history is more important than the stand taken by Tommie Smith and John Carlos at the 1968 Olympics in Mexico City. 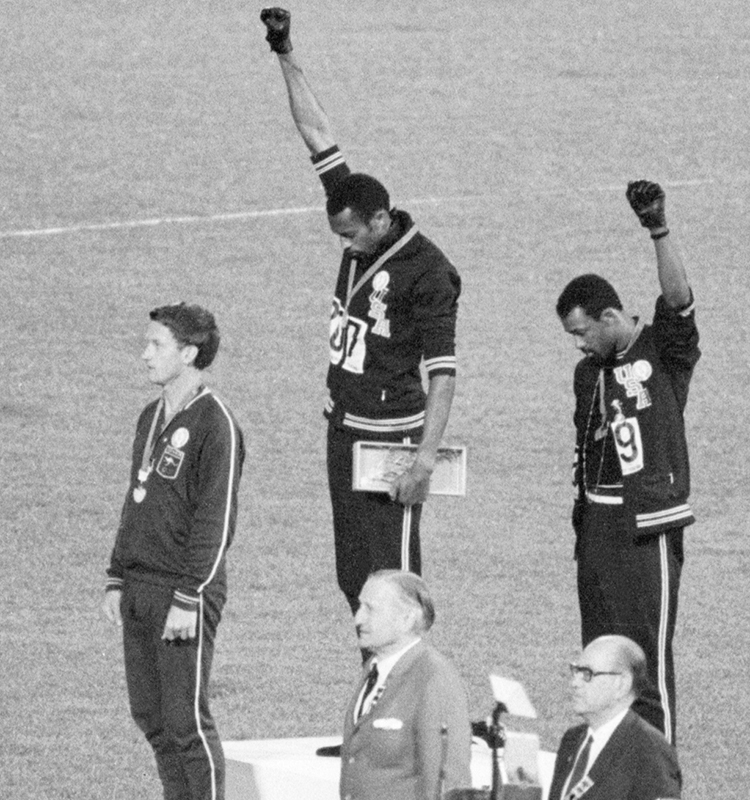 After Smith won gold, and Carlos claimed bronze, in the 200 meters, the two men raised their fists in silent protest of racial discrimination in the United States. Smith and Carlos’ contributions to history go far beyond their athletic performance and instead lie within their everlasting Black Power salute, which reshaped the concept of athlete activism eternally. In 1908, Jack Johnson knocked out Tommy Burns to become the first African-American heavyweight boxing champion of the world. 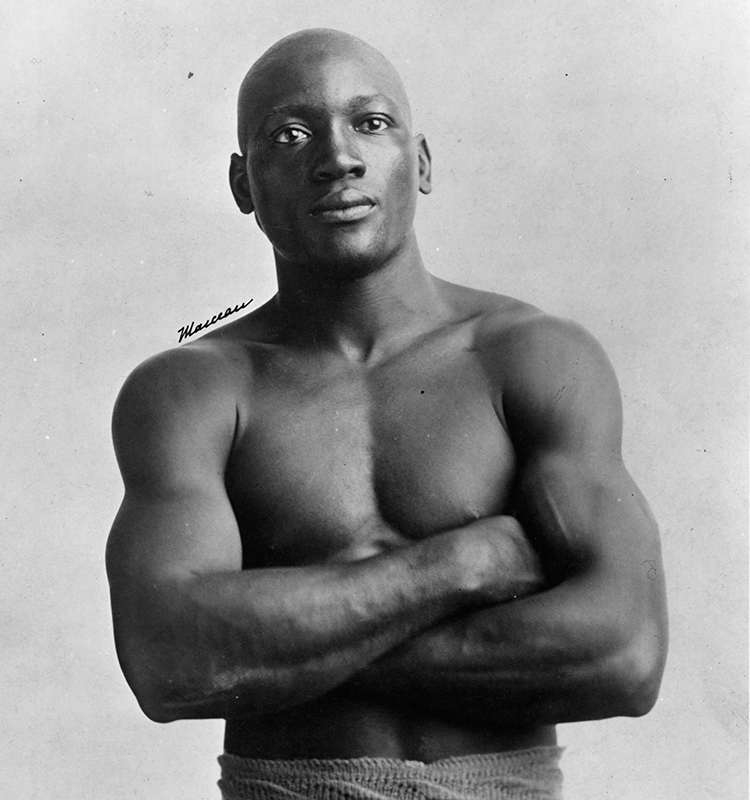 Because of Johnson’s dominance in the sport, and more importantly the color of his skin, many people in the country called for a “Great White Hope” to defeat the black champion and strip him of his title. He shook up the world with his flamboyant character while spending money excessively, driving fancy cars and dating white women. In 1912, he was convicted of violating the Mann Act by bringing a white woman across state lines before marriage. If a white boxer couldn’t stop Johnson, Jim Crow segregation could. 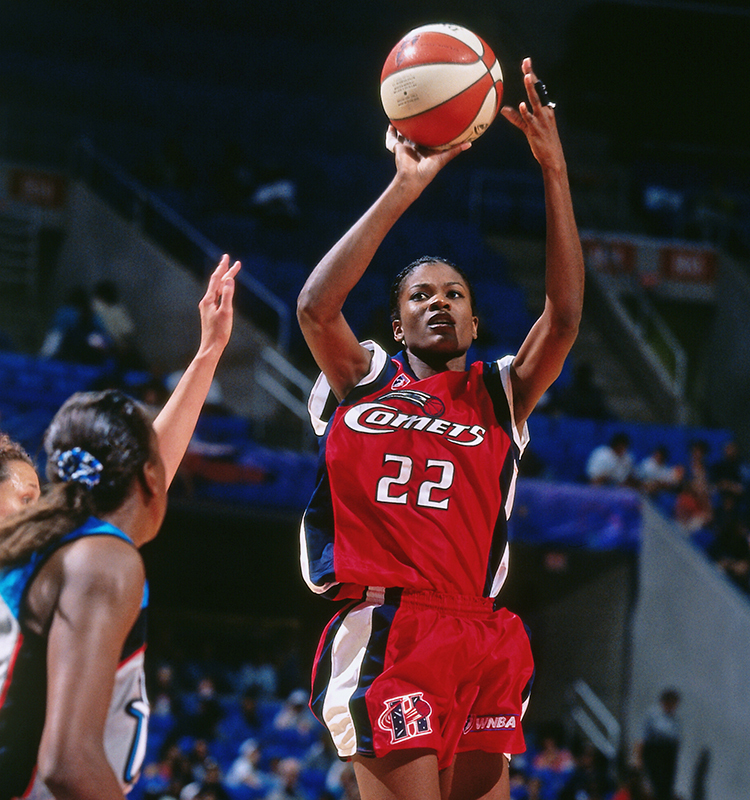 Sheryl Swoopes, a former four-time WNBA champion, three-time WNBA MVP and three-time Olympic gold medalist, was the first player to be signed by the league on Oct. 23, 1996. In 2016, to celebrate its 20th anniversary, the WNBA announced the league’s top 20 players of all time, with Swoopes making the cut. 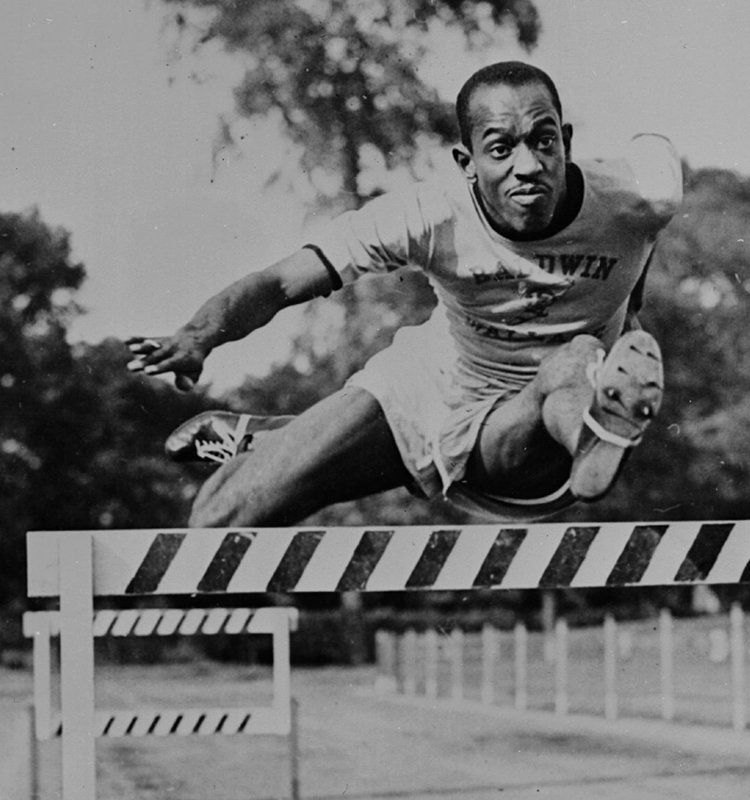 With four gold medals from the 1948 London Olympics (100 meters and 4×100 relay) and 1952 Helsinki Olympics (110-meter hurdles and 4×100 relay), Harrison Dillard is the only man in Olympic history to win gold medals in both sprinting and hurdle events.